Cannon AFB is located southwest of Clovis, New Mexico. The host unit at Cannon AFB is the 27th Special Operations Wing, under the jurisdiction of Air Force Special Operations Command. 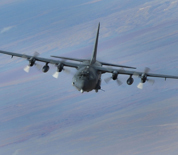 The mission of the 27 SOW is to support special operations forces by providing intelligence, surveillance, reconnaissance and close air support. Several special operations aircraft reside at Cannon including the CV-22 Osprey, the MQ-9 Reaper, the MQ-1 Predator, the AC-130H Spectre and AC-130W Stinger II. This Cannon AFB directory features the critical info you’ll need to navigate through the many facilities and recreational opportunities available on base.